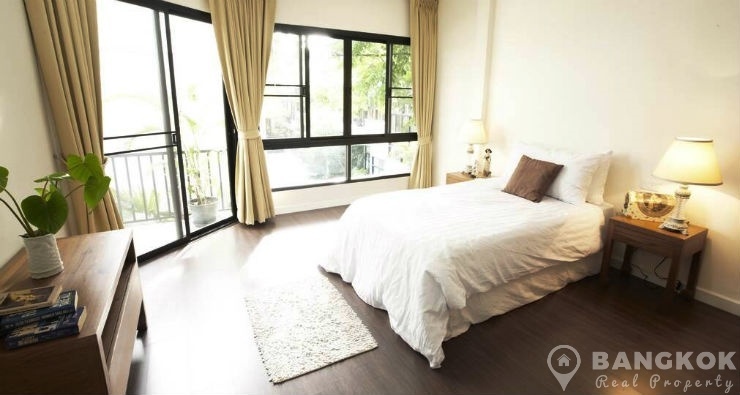 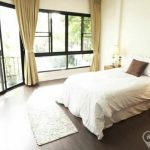 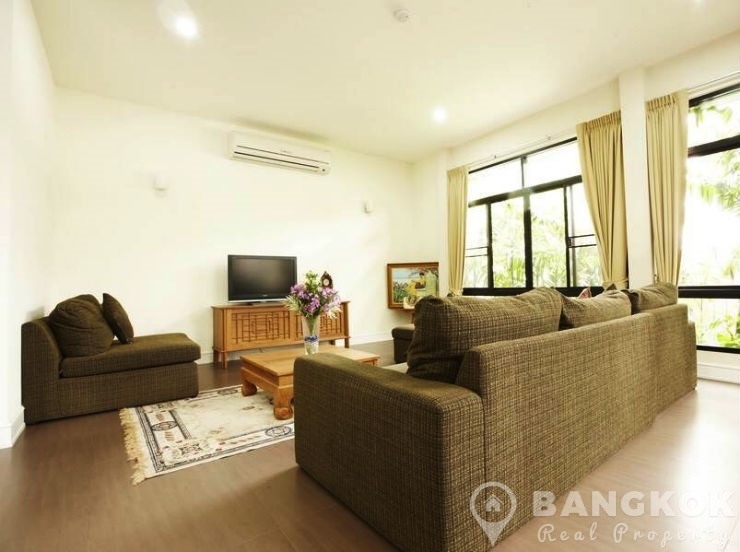 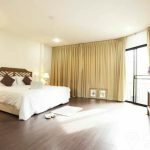 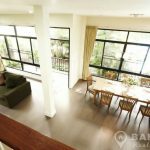 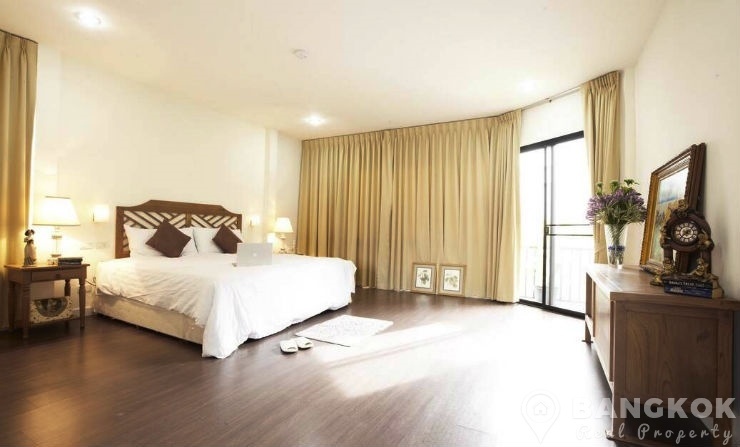 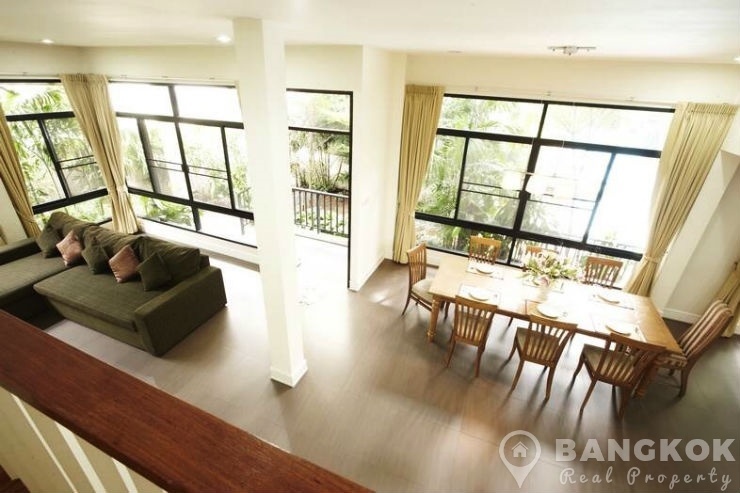 This contemporary, spacious and fully furnished, 4 bedroom Thonglor house is now available for rent, ideally located in the exclusive area of Thonglor and is within easy reach of Thong Lo BTS. 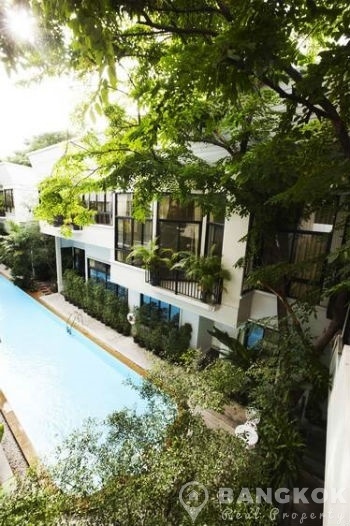 This detached Thonglor house is set in a small, private compound of just 4 houses with a shared courtyard swimming pool. 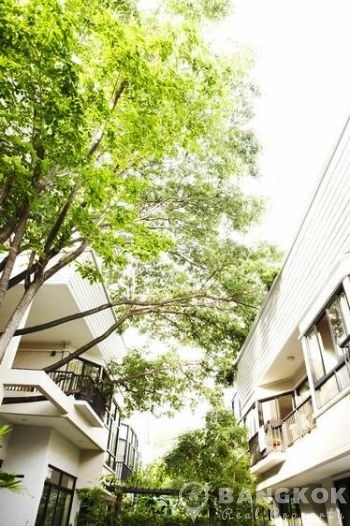 Located near Sukhumvit 38, the house’s locations offers residents easy reach of the best of Thonglor’s many restaurants and amenities including J Avenue, Villa Market, Park Lane, Bangkok University, Bangkok Prep International School and Benchasiri Park. 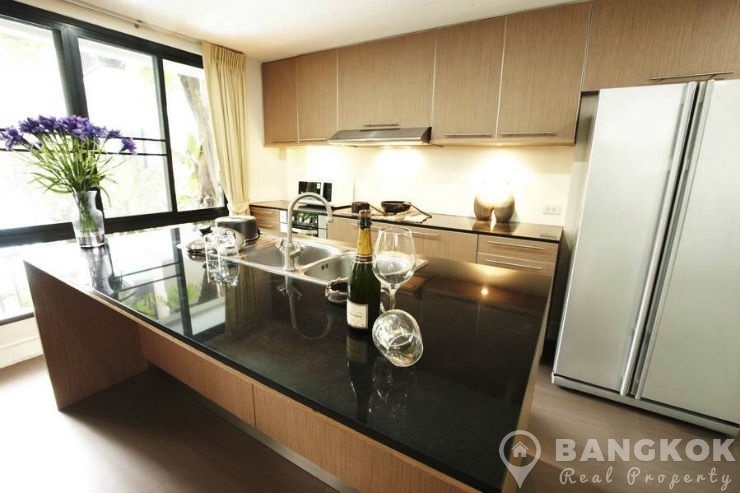 This contemporary, modern design, Thonglor house with shared pool has 350 sq.m of living space with 4 generous double bedrooms, 5 modern bathrooms, a split level open plan living-dining, with a fully fitted European style kitchen kitchen and separate Thai style kitchen, 1 maids rooms and storage room. 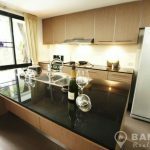 The kitchen has modern fitted units and island counter, ceramic electric hob, electric oven and extractor fan, large family fridge-freezer and there is a washing machine and dryer. 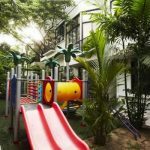 There are balconies off several bedrooms and the property is set in lush tropical gardens, with 24 security and children play ground. 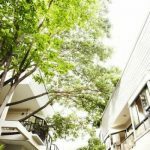 Small Pets are allowed with discussion. 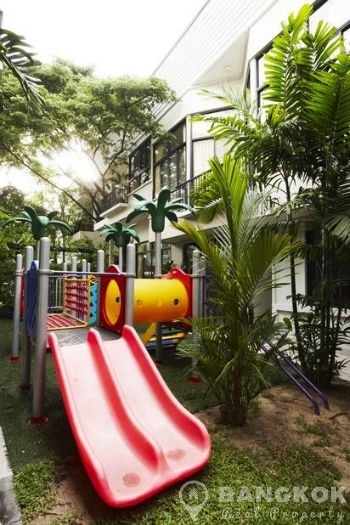 A detached 4 bedroom, 5 bathroom house with 1 maid, 350 sq.m in a private, secure compound of 4 houses with shared swimming pool and children's Play ground.